Traveling is one of the top pleasures to be had in this world. That may sound over the top but it seems to be true. Between the travel bloggers, digital nomads who travel and work for a living, and how many of us live our daily 9-5 jobs from vacation to vacation (despite how pessimistic that outlook is, but that’s a different issue) – traveling is at the forefront of our minds and on the top of our to-do lists. As someone who has done a fair bit of traveling herself, I have found that there is a right way to pack. This is specifically for a suitcase scenario and not a backpacking one. I have yet to rough it backpacking through anywhere (don’t judge me). I have, however, traveled to many destinations around the world from short weekend getaways to month-long vacations crisscrossing the United States. So what the best way to pack? First of all, it’ll make your clothes wrinkle free-ish. While there are always pieces of clothing that have a tendency of getting wrinkled even as you sit in them, rolling the clothes instead of folding will help prevent some of the wrinkles. 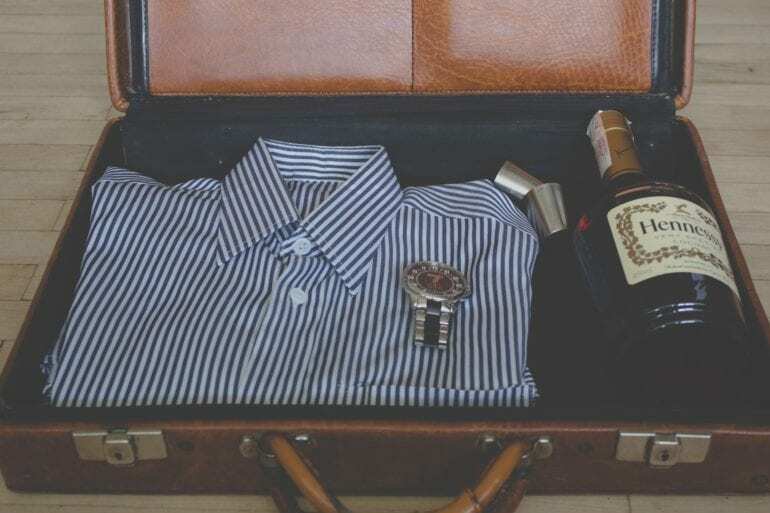 Secondly, it’ll save you TONS of space in your suitcase, allowing you to take more. If you’re a girl, this is a godsend (apologies if I’m stereotyping, but as a girl I know it helped me). Put anything liquid/gel in a Ziploc bag. Because nothing is worse than opening your suitcase to find your toothpaste opened up all over your leather jacket. Ziploc bags come in all sizes and are the perfect way to keep liquid contained and other smaller items like bobby pins and safety pins in one place. I also bring extra ones along with me in case I buy something liquid or go to the beach and don’t want my phone or other items to get sandy. I always put my perfume in a sock. The same goes for anything remotely breakable that can fit in a sock. This technique is one of my favorites and hasn’t failed me yet. If you are anything like me, you spent a pretty penny on your perfume. One of my worst travel (and budget) nightmares is finding my expensive perfume shattered in my bag, which albeit smell fantastic, will be full of glass. I put shoes on the bottom of my suitcase in clear plastic bags so as to prevent any smell from reaching my clothes, they are shoes after all, and create an even base for the clothes. I use clear bags so I can see what shoes I am looking at and don’t need to upend everything. Sort as if it were your closet. 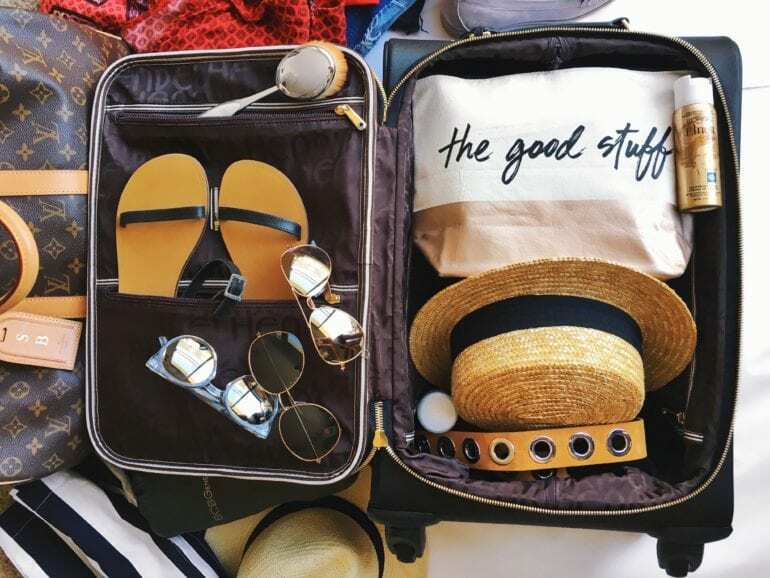 Pack your suitcase as if you are fixing up your closet – by category. Shirts together, pants together, pajamas and undergarments the same way they would be in your drawer. Jackets are usually harder to roll up so I place them flat on top of the rolled clothes.